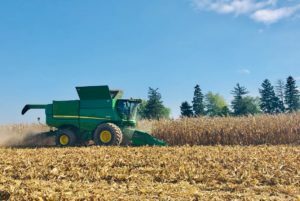 Harvest Update for B&A Genetics October 12,2018. We are seeing record yields across the area, and they are only continuing to climb! Farmers in this area that did have some very harsh winds right before harvest are now picking up, they are seeing a little yield loss, but after that they are pleased with what they are seeing!! Lots of hours spent in the fields dedicated to what these farmers love, and they all say they wouldn’t have it any other way! !